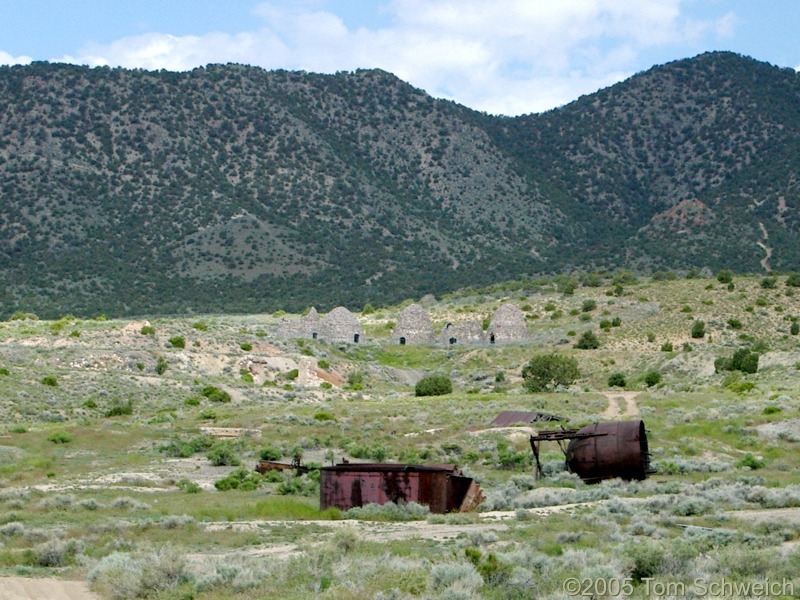 Photo: Bee Hive ovens at the Frisco Mine, Utah. Eastern Mojave Vegetation Bee Hive ovens at the Frisco Mine, Utah. Photograph taken June 1, 2005. Frequently Asked Questions: Bee Hive Charcoal Ovens. Field Notes: 1 Jun 2005. Utah Highway 21: … near Frisco..
Other photos about Geography - Utah or Unclassified.